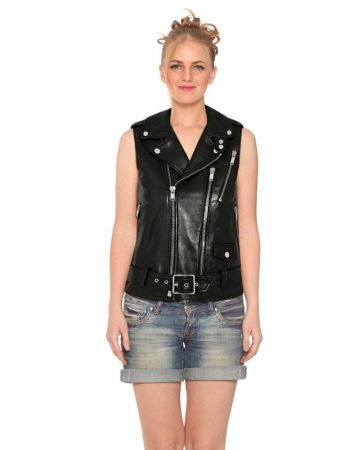 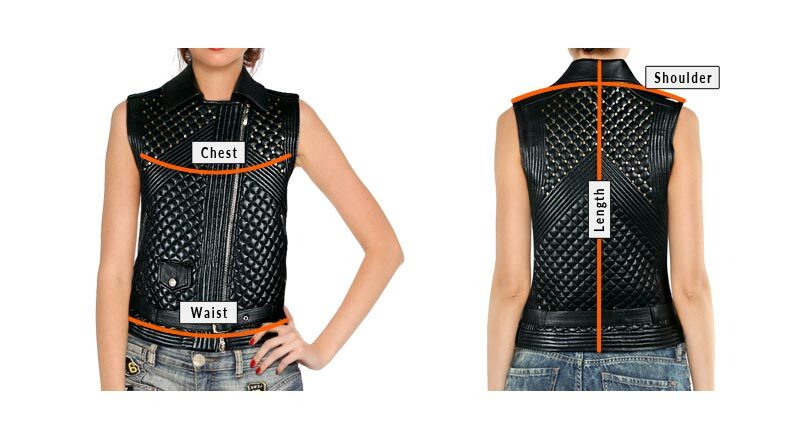 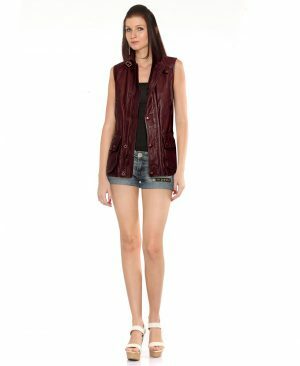 Soar out of this world in this stylish womens leather vest. 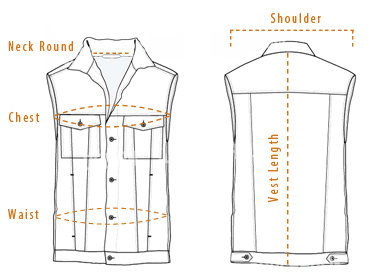 Designed with a notch collar and wide shoulder coverage to keep you high on style. 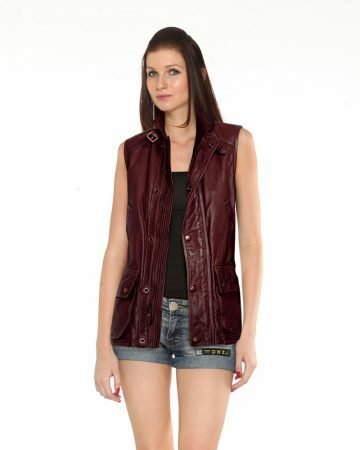 This vest features front off center zip and belted hem to create cute casual yet chick style.